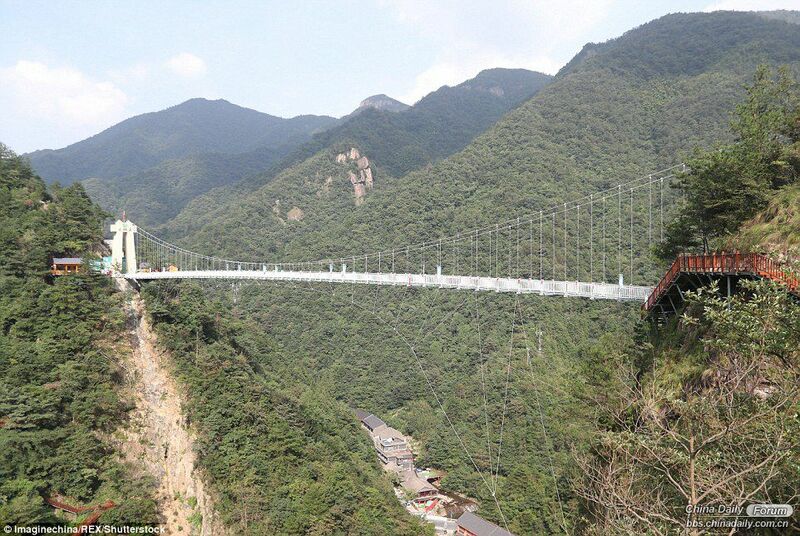 A new glass-bottomed suspension bridge in east China is giving thrill-seekers a heart-stopping day out. The 228 meter (748 foot) -long crossing in Hangzhou city, Zhejiang province dangles visitors 600 feet above a valley floor - equivalent to about 60 storeys - and has just opened to the public this month. To add to the terrifying experience, the see-through bridge that is 2.8 metres (nine feet) wide also features a cracking effect to scare visitors. The project started last November and was completed in June, adding to the beautiful landscape of Hangzhou, a top tourist destination in China. 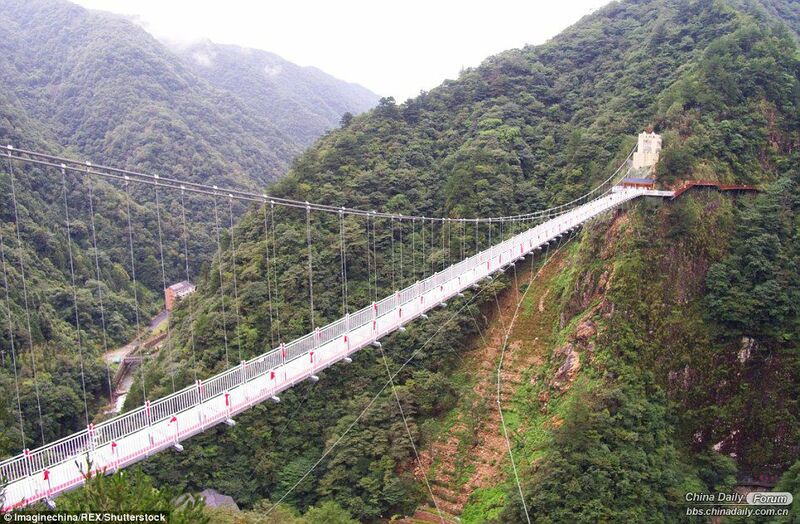 Since its launch, tourists have been flocking to visit the bridge, according to Zhejiang Online. Video footage of the adrenaline-packed expedition shows tourists hovering carefully over the glass panes while desperately grasping onto the rails. Others are seen enjoying the panoramic views of the trees and canyon while taking selfies. 'It seems pretty shaky to me!' one man told reporters while holding onto the barrier with both hands. Hum, how clever and brave we Chinese! They should make it more exciting by placing in an ordinary panel and let the brave visitors know they could be hitting the headline, and the bottom of the valley.